New York City is a melting pot of cultures and concepts from around the world. Located at the mouth of the Hudson River, it consists of 5 boroughs, the densely populated, bustling Manhattan at the center. The Empire State Building, Times Square and Central Park are just some of the many landmarks in Manhattan. Art and culture seep through the city, fuelled by the Met, MoMA, Guggenheim, and the Broadway Theater, to name a few. Explore the avenues, shopping streets, restaurants, historic architecture and upscale skyscrapers of NYC. 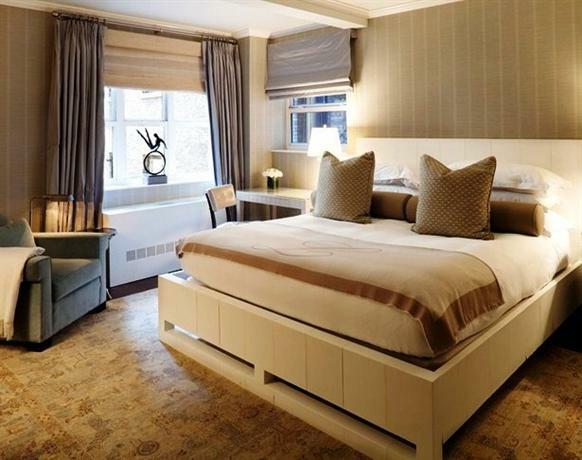 Here are the 15 best hotels for a luxurious NYC holiday. 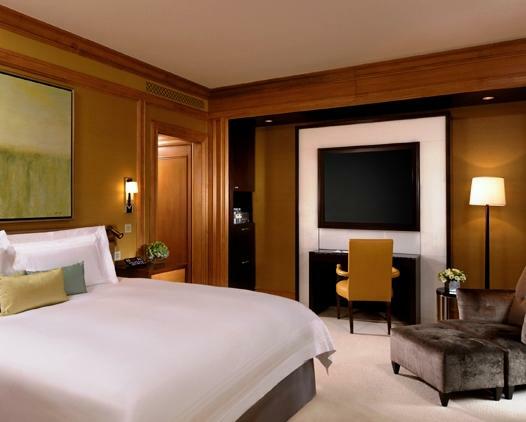 Park Hyatt New York is the perfect base for a luxurious holiday, in trademark New York style. It flaunts a skyscraper setting in prime Midtown Manhattan opposite Carnegie Hall, a minute away from Central Park. Occupying 30 floors of One57, the tallest residential building in NYC, Park Hyatt unveils itself as a stunning ensemble of contemporary sophistication. An ebony-and-ivory glazed exterior, and a soothing, high-ceilinged, art-lined interior, create a visual collage befitting Hyatt’s flagship luxury hotel. Rooms and suites here are designed to maximize space, comfort and relaxation, with tons of natural light, clean, minimal lines, soft whites and greys, and sophisticated elements including Scandinavian furniture, original artwork, stone floors and designer rugs. Bathrooms take luxury to the next level, with tropical rain showers, Le Babo toiletries, and marble soaking tubs. The impressive Park Terrace suite comes with its own terrace and panoramic views of New York City. The modern magnificence of Park Hyatt extends to its sprawling Asian themed Spa Nalai, its majestic Onyx ballroom, and its sun-lit heated swimming pool with its underwater speakers. An exclusive collection of artwork curated in partnership with MoMA, adorns almost every space in the hotel, even the cocktail bar overlooking Carnegie Hall. The Back Room at One57 offers a unique fine dining experience, with its farm-fresh menu crafted by Chef Sebastien Archambault. Lowell Hotel syncs perfectly with the idea of posh New York City holiday. 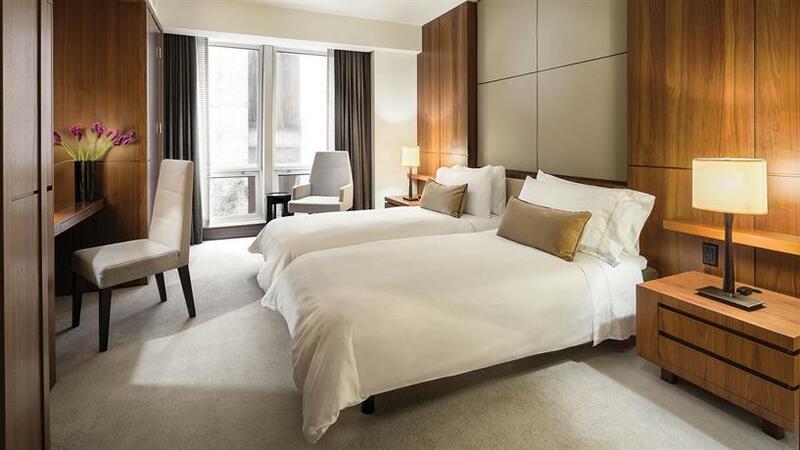 Located in the Upper East Side, just a block away from Central Park, and minutes away from the subway station and Madison Avenue’s high-end boutiques and shopping outlets, this hotel places you in the heart of Manhattan. Even so, it retains a quiet, intimate feel, thanks to its tree-lined residential street setting. 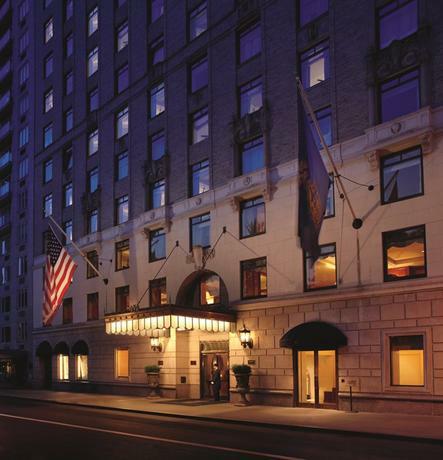 Throughout the 90+ years of its existence, Lowell Hotel has represented the ageless elegance of the Upper East Side. It continues in the same vein today, its 27 rooms and 47 suites exhibiting refined, understated elegance. Subtle hints of opulence, in the shape of marble floors and mirror work, are visible in the lobby and public areas. Guests at Lowell can expect the highest standards of service, with delightful touches such as a specialist afternoon tea service. Rooms have free Wi-Fi, flat-screen TVs, and even kitchenettes. Premium suites have fully-functional kitchens, and an excellent ambience thanks to wood-burning fireplaces, independent living areas and private terraces. The Garden Suite with its 2 terraces, fountain and alfresco dining space, is a delight for the senses. The 2nd floor of the 17-storey Lowell Hotel houses the elegant Pembroke Room, perfect for romantic dinners, cocktails, or laid-back weekend brunches. 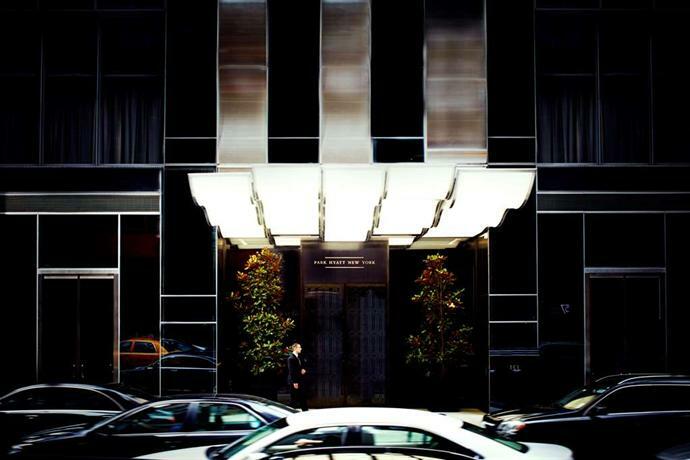 The Peninsula New York enjoys a prime 5th Avenue address, and proximity to Central Park, Museum of Modern Art, Times Square, and subway stations to take you just about anywhere in New York City. Besides one of the most glamorous and convenient locations in the city, this iconic hotel also comes with its fair share of history, having served as an NYC landmark since 1905. To date, it reflects the elegance of its yesteryears, in the form of a classic building façade with ornate pillars and stucco work, and handsome interiors with soft color palettes, Mid-Century furniture and engaging works of art. Rooms and suites in the Peninsula focus on comfort and convenience, thus exhibiting understated luxury. Beds are flanked by intuitive electronic controls, and elegant marble bathrooms are stocked with exclusive Oscar de la Renta toiletries. 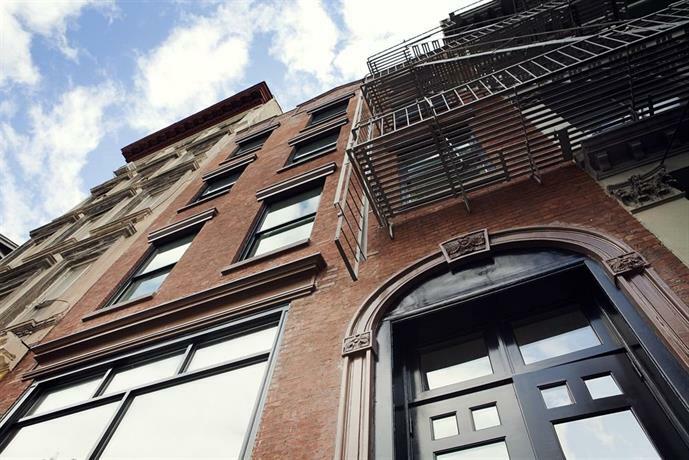 The rooms and suites overlook either the busy New York cityscape or a quiet inner courtyard. 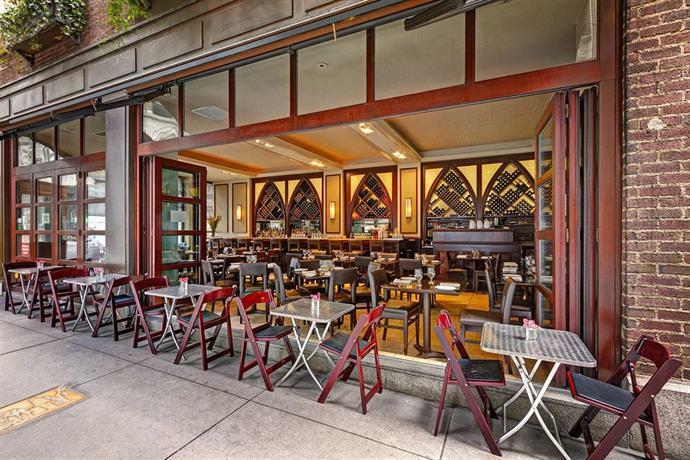 The Clement restaurant, with its lively vibe, serves as a nice contemporary insert in the classically designed hotel. Laid out as a series of 3 rooms, all styled in the manner of a sophisticated modern New York home, it offers guests a variety of vibes to choose from. Other culinary experiences include afternoon tea in the Gotham Lounge, and drinks at the Salon de Ning with its captivating views. A glamorous destination in Midtown Manhattan, Langham Place lets you unwind in style at one of the most exclusive neighborhoods in NYC. 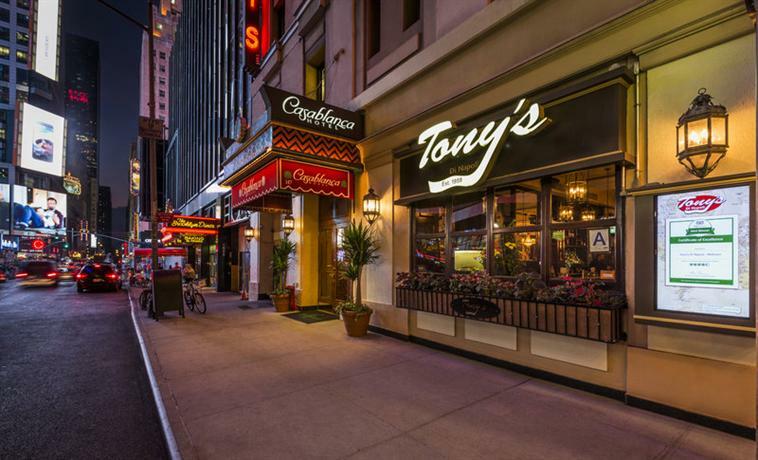 Its 5th Avenue location puts it within walking distance from Bryant Park, the Empire State Building and the Theater District. Housed in a modern high-rise building is a collection of chic, contemporary spaces deigned for comfort and luxury in equal measure. There are 214 rooms and suites in Langham Place, all ultra-spacious, flooded with daylight, and designed along clean, minimal lines. They have king-sized beds with premium linen, and offer fantastic views of the Manhattan skyline through floor-to-ceiling windows. Suites located on the upper floors come with fully-functional kitchens. All rooms and suites are equipped with state-of-the-art appliances and gadgetry, including iPod docks, coffeemakers and free Wi-Fi. Bathrooms here are impressive, fitted with TVs, separate baths and showers, and stocked with premium bath linen and toiletries. Among the highlights of this 5-star hotel is its famous Chuan luxury spa, offering specialist treatments and massages. 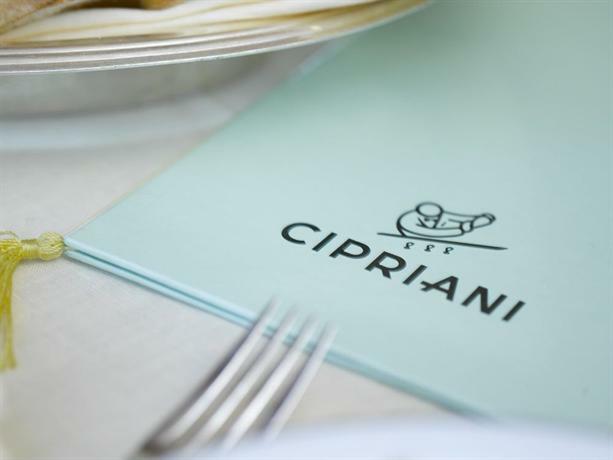 The sophisticated Michelin-starred Ai Fiori restaurant is another crowd puller, offering delectable Mediterranean cuisine amid a stylish, urban-chic ambience. Langham Place also has a hair salon and a 24-hour fitness center. The Sherry-Netherland is a one-of-a-kind hotel, literally. To begin with, it has an interesting history of status and ownership. The tallest hotel in New York City at the time of its unveiling in 1928, it attained the tag of a cooperative building in 1954. As such, each room or suite in here has a different owner, some rather famous ones as well! Next up, its location. Perched on 5th Avenue, across the entrance to Central Park, and right by the Grand Army Plaza, the Sherry-Netherland is unmatched in its setting. Architecturally, this is an authentic sample of old-world elegance, a classic arched entranceway leading you into a majestic, ornate lobby with mosaic floors, granite tiles, intricately carved moldings and ceiling frescoes. Liveried doormen greet you as you enter, escorting you to the rooms and suites above. The Sherry-Netherland offers you the experience of living like a New Yorker, albeit an affluent one. Each room has its own distinctive interior design, often in accordance with the personal preferences of its owner. 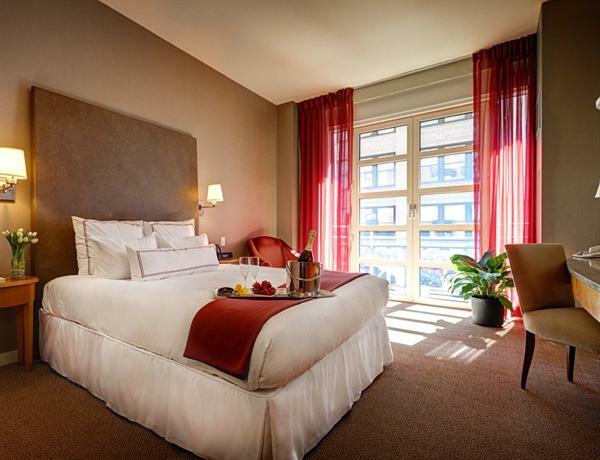 Spacious by NYC standards, the 50 rooms and suites are comfortably furnished and softly lit. They showcase interesting antiques, as well as modern amenities including minibars, TVs and Wi-Fi. The Sherry-Netherland also impresses on the gastronomy front, thanks to its famous Harry Capriani resto-bar, where hotel guests can avail of 20% discounts. 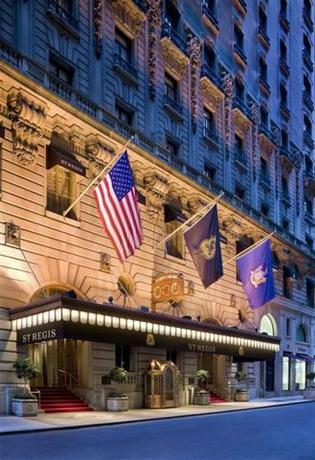 A landmark hotel in Midtown Manhattan, St Regis New York is just a block away from the Museum of Modern Art and walking distance from Central Park. This historic establishment was founded over a century ago, and its modern manifestation remains respectful of its legacy of luxurious hospitality. What it also reflects now is an expressive contemporary edge. The glamorous, high-ceilinged rooms and suites now sport bold, vivid color schemes, complemented by bespoke furniture and crystal chandeliers. The celebrated King Cole Bar & Salon possesses an aura of chic sophistication, while the hotel’s grand marble lobby and stately library retain memories of the Gilded Age. Find yourself surrounded by local artwork, huge windows and stunning views of New York City. Service at the St Regis is par excellence, including butlers, personal shoppers, and an expert fleet of trained, helpful staff. The Surrey meets and exceeds expectations in terms of location, exclusivity and luxury. Occupying a coveted spot on Madison and 76th, it places you just a block away from Central Park, and minutes away from the subway, the Met and other art galleries. The Surrey pays homage to its cultural setting in the Upper East Side, by hosting its own art collection. The ambience here is luxurious, sophisticated and intimate. There’s a wide range of accommodation, from chic rooms with hand-painted armoires, to lavish suites with their own fireplaces, terraces and kitchenettes. The famous Café Boulud, the gorgeous Pleiades Bar, and a luxury spa and fitness center, are some of the other perks of staying here. An authentic SoHo residence converted into a boutique hotel, the Broome is an exclusive, intimate destination in the heart of artistic, glamorous and stylish SoHo. Set in a red brick Federal Revival building, this charming hotel offers 14 chic rooms and suites, built around a lovely Parisian courtyard. Quiet, elegant and comfortable, the rooms and suites at the Broome are soundproofed, ergonomically furnished, and equipped with free Wi-Fi. The penthouse suite has its own terrace. Breakfast is complimentary. A spatial treat for the academically inclined, Library Hotel draws its inspiration from the New York Public Library it shares a street with, and the Dewey Decimal System that inspires the arrangement of rooms on its 10 floors. The 60 rooms here are a book-lover’s delight, stocked with volumes of writing and interesting samplings of artwork. Library Hotel also offers an excellent location, occupying the corner of 41st Street and Madison Avenue. 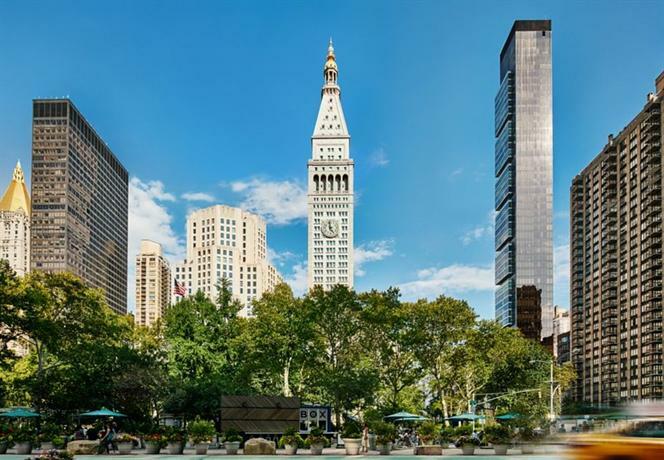 The popular and bustling Bryant Park is just a block away. Library Hotel guests also have free access to any NYC Sports Club. Commanding a prime spot at the southern end of Central Park, the Ritz-Carlton has many firsts to its name. Not only is it New York’s flagship Ritz-Carlton hotel, but also houses the first La Prairie spa in the USA. 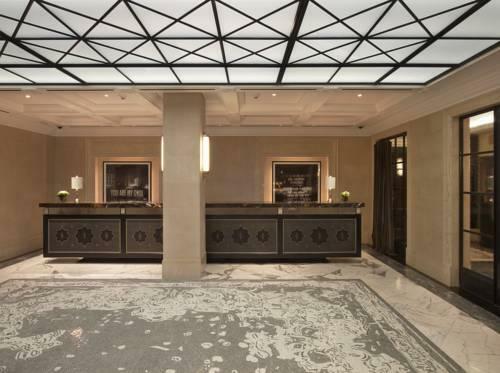 The hotel’s design alludes to the historic landmark status that it has enjoyed, welcoming you into a 19th century ambience, complete with horse drawn carriages, liveried doormen and a marble clad reception. There are 259 rooms and suites ranging in size from compact to luxurious, all elegantly furnished, finished in soft browns and pinks, and imbued with a signature scent. Food and drinks here are exclusive, specially crafted by connoisseurs. The refined Star Lounge and the upbeat Auden Bistro & Bar round up the Ritz-Carlton’s exploration of elegance. An upscale hotel exuding modern luxury, Hotel Giraffe is located on Park Avenue South, a few minutes away from the Union Square, the Statue of Liberty, the Empire State Building, and the trendiest restaurants and bars in NYC. 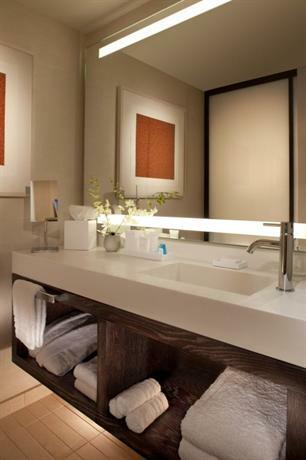 The ambience of the hotel revolves around Modern Art, easy sophistication, and no-frills comfort. Rooms have quiet color palettes and plush furniture, and are complemented by spacious public areas including a vast lobby and a lovely rooftop garden. Guests get a number of complimentary perks, including breakfast, wine & cheese receptions, Wi-Fi, a DVD library, an array of books and magazines, and free access to all NYC sports clubs. Have a glamorous NYC holiday at Conrad New York, an upscale all-suites hotel located in Tribeca, the neighborhood that celebrities live in. Besides the chance of an autograph or two, you also get to enjoy some natural scenery, with a park and the Hudson River right across the road. The plush suites here have dedicated bedrooms and living rooms, plus plug-ins including flat-screen TVs, Wi-Fi and coffeemakers. Guests can also access a 24-hour fitness center within the property, or step into the Mediterranean resto-bar or the rooftop lounge for a bite. 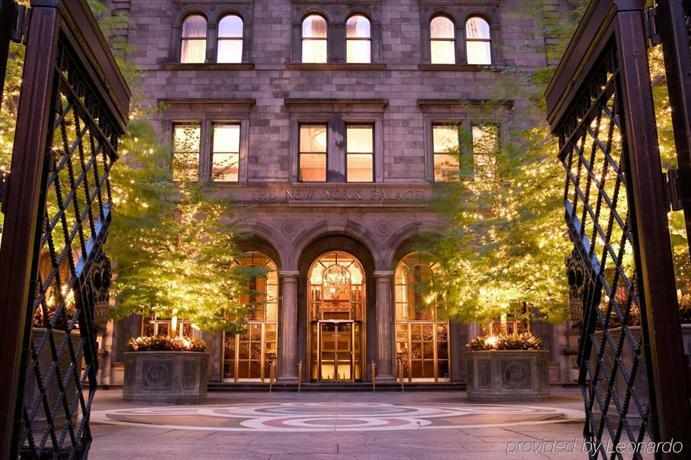 Modern sophistication meets old-world elegance at Lotte New York Palace, a luxury hotel that masterfully combines the 19th century Villard Mansion with an upscale high-rise. The result is a case study in splendor that stands the test of time. This Midtown Manhattan landmark offers over 900 rooms and suites with plush leather furniture, subtly textured fabrics, and great views of the city. Tower suites have furnished outdoor decks. There are multiple dining options here, including the ornate Villard Restaurant and the chic Pomme Palais café. Lotte New York Palace also houses conference areas and a luxe spa and fitness center. Casablanca Hotel rises organically from a restaurant-lined street a mere block away from Times Square. It has a lively, animated and yet intimate vibe. Interiors feature a cheerful mix of elements, including hardwood paneling, Moroccan lattices and rattan chairs, all of which are also found in the cozy guest rooms and suites. All rooms and suites are soundproofed from the noisy exterior, and have free W-Fi, flat-screen TVs and iPod docks. Guests can relax by the fireplace in the hotel’s cozy lounge, which also serves complimentary breakfast, afternoon tea, and wine & cheese in the evenings. The New York EDITION is housed in a landmark 1909 skyscraper overlooking Madison Square Park, within walking distance from the Empire State Building. Rooms and suites are cleverly planned to offer views of the park, the cityscape, and the Empire State Building. Their sophisticated interiors are sculpted along clean modern lines, with soft color palettes, monochrome finishes and light pine floors. The result is a dreamy, restful vibe, perfect for a relaxed getaway. Larger suites have stylish vaulted ceilings, and penthouse units have their own kitchens. The New York EDITION also houses 2 trendy bars and a restaurant, along with a spa and an events area.